You can help women to find their style and enjoy their clothes PLUS this course will give you the confidence and understanding to create a capsule wardrobe and accurately choose the clothes that make them look and feel amazing. Do any of the following sound like you…? Your friends and family have you on speed dial whenever they need to go shopping for a special outfit or need to buy some new clothes. This is because you have an innate sense of style and because you are very visual so you are able to see when something “just isn’t right”. However you aren’t always sure why certain clothes, styles or fabrics work for some people and not others. Therefore it would be incredibly useful to have this insider knowledge so that your shopping trips can be more effective and so that you can explain why a garment works or doesn’t work! You may have toyed with the idea of training as a Personal Stylist or Image Consultant but you aren’t sure if you want to invest the time or money until you have learnt more and built your confidence. You may want to start your own business focussing on wardrobe management and personal shopping. Or perhaps you have no intention of leaving your current job but would like to understand more about why certain clothes “work” so that when you are shopping for yourself &/or others you can quickly select the right clothes and accessories – saving loads of time and money. You also have a busy life with work &/or family commitments so finding time to attend a classroom based course would be nigh on impossible. BUT you have this burning desire to learn more because you want to share your knowledge with others AND your dream job would be to get paid to go shopping!! This is where my new Professional Personal Shopper Course can help you…. My name is Gail Morgan and over the last 20+ years I have had the pleasure of training hundreds of Image Consultants, Personal Stylists and Personal Shoppers to set up their own style businesses around the World. 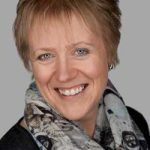 I have run my own image consultancy business during this time – working with men, women and corporates – as well as spending 4 years working as a Consultant Fashion Advisor for John Lewis in a number of their stores. Over the years I have developed a range of professional and certified style training courses and modules so that new consultants can study either in the classroom with a small group of other trainees or at home through our distance learning programmes. 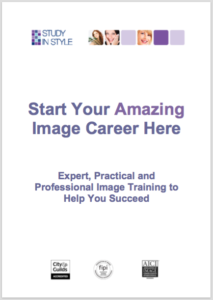 Both our Certified Image Professional and Personal Stylist Courses are very popular but I have been asked on numerous occasions to provide a specific Personal Shopping Course as a gateway into the image profession. You know as well as I do that there are sooo many women out there who hate clothes shopping – difficult for us to imagine I know! But their idea of fun is NOT to spend a few hours mooching around the shops enjoying the variety of different styles, colours, fabrics that the stores have on offer. They want to be in and out of the shopping centre as fast as possible because they find the whole experience overwhelming and confusing. Imagine how much easier their life would be if they had someone like you to guide them, to find the right garments and the perfect accessories quickly and easily so that they don’t get depressed in the changing room or compromise on clothes because they don’t know what to look for or where to find it? To be an effective Personal Shopper you need to have a deep understanding of the colours, styles, patterns, accessories and fabrics that suit different people so that you don’t waste time in the wrong shops trying on clothes that will never work for your client. The content of the Online Personal Shopper Course is based around the successful “Wardrobe That Works” Programme. This is my signature style programme and it is the exact process that I use with my private clients. So although you will be focussing your business on wardrobe management and personal shopping you will have an in-depth knowledge of many of the topics that I cover in the Personal Stylist and Image Professional Courses. As a bonus, studying this course will have a positive impact on your own wardrobe as well as the wardrobes of your future clients! Understand the principles of colour analysis so that you can select a flattering range of colours for your client and create a workable capsule wardrobe for her. Discover your client’s “Style Personality” so that you can guide her to finding her own unique style – making shopping and selecting clothes much easier in the future. Recognise the different body shapes and how to dress them so that your client wears styles that flatter her body shape. Use accessories to expand, extend and add interest to an outfit. Appreciate the importance of the right underwear and swimwear. Manage your client’s wardrobe so that she can build outfits easily and creatively. Conduct fast, effective and fun personal shopping sessions – knowing which stores to visit for different people, whether that is online or in an actual shop. Discuss the importance of grooming with your client to complete her overall look. Find your ideal client and market your new style business. This stage is vitally important because it will give you a clear understanding of your client’s personal style, allowing them to feel comfortable and confident in their clothes without being a slave to fashion trends. This knowledge is essential to help you create their new wardrobe. This forms the basis of any versatile and flattering wardrobe. You will be taught the principles of colour analysis and how to build a wardrobe around a few key neutral colours. This knowledge then allows you to shop quickly and confidently, as well as co-ordinate clothes easily to create new outfits. Understanding the clothes that fit and flatter different body shapes will allow you to guide your clients so that they can confidently try different styles and get the compliments they deserve and perhaps stop wearing clothes that hide their body. Vital for interesting outfit creation – Often ignored, effective accessorising truly is THE secret ingredient to simple style, so that we can stand out for all the right reasons. Discover the importance of size and scale when selecting accessories. The correct underwear is essential to completing any look – Having the right foundations in place will make any outfit look better. Learn how a bra should fit and how to advise your client if she needs a different size! Discover how to create a capsule wardrobe. You will learn the process to de-clutter and manage your client’s wardrobe. You will then be able to create outfit combinations, advise on new purchases and enable her to get dressed more confidently. Make shopping fast, easy and enjoyable for your clients. Take the pressure and overwhelm away from them as you speedily find flattering solutions. 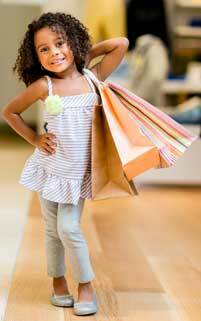 They will love the experience so much that they will never want to go shopping without you again! Focussing on the importance of grooming – make-up, skin care, hair care and clothes care – important tips that you can pass onto your clients so that they always look their best. Essential marketing tips to help you find your ideal clients and grow your new Personal Shopping business. 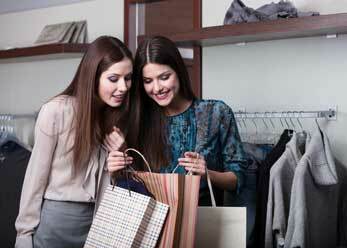 How Does The Personal Shopper Course Work? It’s as easy as 1, 2, 3…..
1) A new Style Step to study every week – The links to your first style step will be sent to you on Monday 1st February 2016 with the links to the next steps being released on subsequent Mondays until Monday 28th March. 2) Group Coaching calls to discuss your progress and aid your learning – These invaluable accountability calls will normally be held once a month BUT if you join the Pilot Programme on 1st February you will benefit from weekly calls – every Tuesday evening at 6pm UK time. Starting on Tuesday 9th February until Tuesday 11th April (with a break for the Easter holidays!) This is your chance to ask me questions and to learn from the rest of the group. 3) A private Facebook group to share your successes with me and the rest of the pilot group (who will become your virtual support team!) – Access from Monday 1st February. Spread over 9 weeks the Style Steps have been broken down into easy to digest, manageable topics. Each training topic is presented online utilising a combination of study notes – which you can print off and keep in a manual if you are a pen and paper kind of girl; recorded presentations and videos for you to watch and listen to; as well as a number of assignments and exercises for you to complete. Each week you will be sent a link to the training vault where you will find the relevant information for that week’s topic. The training and assignments should only take 2 – 3 hours to complete each week – designed to make it easy to study around your work and family commitments. You will also want to practise on family and friends so start asking if anyone would like to help you with your training projects – hopefully there will be a long queue! You will have lifetime access to all the training content when the pilot programme has finished and access to any new information that we add to the course in the future. To support your learning, there will be a weekly group coaching call. These Q&A sessions will be invaluable as you discover how you can implement your new found knowledge into helping improve the wardrobes of real live people. It will also give you the opportunity to interact and learn from the other participants on the training programme. If you can’t make a call for whatever reason then don’t worry because they will be recorded and you can listen back afterwards. The private Facebook group will provide ongoing support between calls and for the months afterwards as your business and confidence increases. As you can see this is far more than just a Personal Shopper Course – In just 2 months you will have the knowledge to coach, guide and advise clients so that they have a better understanding of the clothes and accessories that suit them. You will be able to organise and de-clutter their wardrobes so that whatever they buy will work with the rest of their clothes and you will know how to build a sustainable personal shopping business with happy long-term clients. 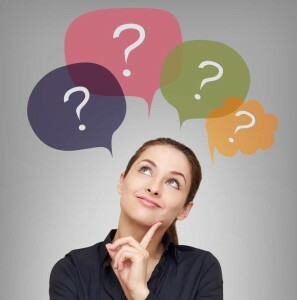 So what is the cost of this life-changing Personal Shopper Training Course? As well as this amazing 40% discount you will also have the opportunity to experience the weekly group calls with Gail – your chance to quiz her about ANY aspect of the image industry and to benefit from her vast knowledge. AND as a special bonus for the first 10 people to sign up for the course you will receive a DVD demonstrating how to tie a scarf in 30 different ways!! 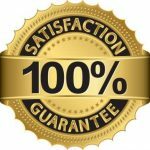 Will I receive a certificate following completion of the course? Will I need any special equipment to be able to complete the course? No – the course will be delivered online through weekly “chapters”. You will therefore need a computer, laptop or tablet to access each of these chapters and the same equipment or a phone to participate in the weekly group coaching calls. Do I need to have any fashion or retail experience before I start the course? No – you will be taught everything you need to know during the course – having an interest in clothes and people is all that you need to have! Could I get a job in a department store as a Personal Shopper following the completion of the course? I can’t of course guarantee this, but I would expect that it will certainly help your application! 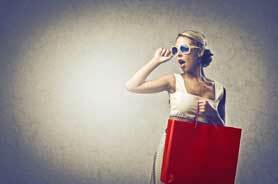 How much can I expect to earn as a Personal Shopper? To a certain extent this depends on your ideal client and where you are located because the bigger cities eg London, New York, Delhi, Dubai, tend to demand higher prices. In the UK you would expect to earn at least £30 per hour in the country, rising to over £100 per hour in London. This means that you could have earned back the cost of your course with just one paying client!! There are a number of different ways that you can do this – from networking to social media and from speaking to blogging. The last chapter of the course is dedicated to helping you to build and market your business so you would learn a number of different techniques to help you. During the training programme I will be teaching and sharing numerous style secrets and strategies so that you can manage wardrobes and shop effectively with clients or friends and family. You will receive the training information, knowledge, support and templates to allow you to start your own personal shopping business. However this is not a “Done it for you Programme” – you will need to participate and commit to take action – utilising what you have learnt in order to see results. Your success will depend on your commitment to the training and to building your new business. To grab a place on this transformational training programme you can either book online or call me directly to pay by card or BACs. What clients say about working with Gail…. “The time I spent with Gail, learning about the colours and styles that suit me, having my wardrobe ‘weeded’ and then shopping for new clothes, has been an absolute delight and revelation. Seeing the difference that the right colours make to my appearance has boosted my confidence enormously and knowing what suits me has made shopping for clothes a genuinely enjoyable experience for the first time in my life! 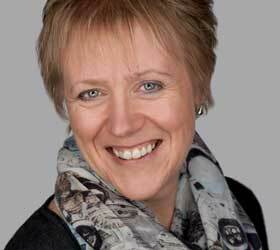 Susi, Writer and Life Coach, Essex.